In the late 1800s, Ybor City, FL was the cigar capital of the world (cigars anyone? Visit www.monthlyclubs.com for info on our Premium Cigar of the Month Club). Its location near the coast made shipping supplies up from Cuba relatively simple, and it served as a major conduit between the famed Cuban cigar market and the U.S. demand to have them. In 1886, Vincente Martinez Ybor led the migration of the Cuban cigar industry to a small region located in the Tampa metropolitan area. Ybor City became a bastion for immigrant workers seeking to leave the violent revolutions in Cuba. For over 40 years, the industry flourished, however, with the hit of the depression in 1929, coupled with the popularity boom of American cigarettes, the cigar industry rapidly declined. Naturally, many of the factories were closed, abandoned, and torn down. However one building, the Seidenberg and Company cigar factory, built in 1894, withstood the test of time. Now, you may ask, “What does this have to do with my microbrewed beer of the month?” Well, move ahead 100 years from the date that Seidenberg opened its doors at this location in 1894 and that is when the Ybor City Brewing Company first opened its doors (1994) in this exact same brick building. Not only is the brewery site rich with history, the company president, Humberto Perez, is a third-generation brewer whose grandfather founded one of the largest breweries in Venezuela—Cerveceria—about 75 years ago. And like the cigar factory practices, this brewery employs similar traditions; all the brewing is done by hand. Not a single step of the process is automated! Today they brew a vast line up of Floridian beers, under the larger company name of the Florida Beer Company. 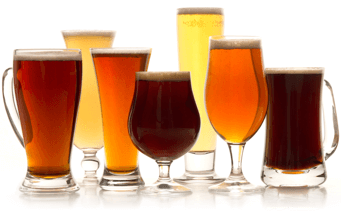 Other brew lines include Key West, Hurricane Reef, and La Tropical, for a total of over 13 quality beers. 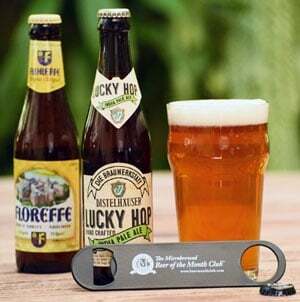 For more information about the brewery and scheduled tours, call (813) 242-9222, or visit their website at www.floridabeer.com.